Jason Vorhees. 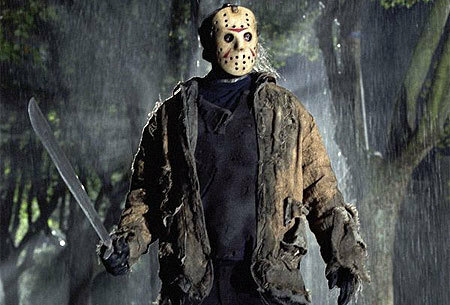 Jason Vorhees, legendary serial killer--and one of the most brutal to me :). Wallpaper and background images in the Horror films club tagged: horror films slashers horror movies midnight movie 2009 2008. Is that from Freddy vs. Jason or the re make!? I don't really know...just found it really.